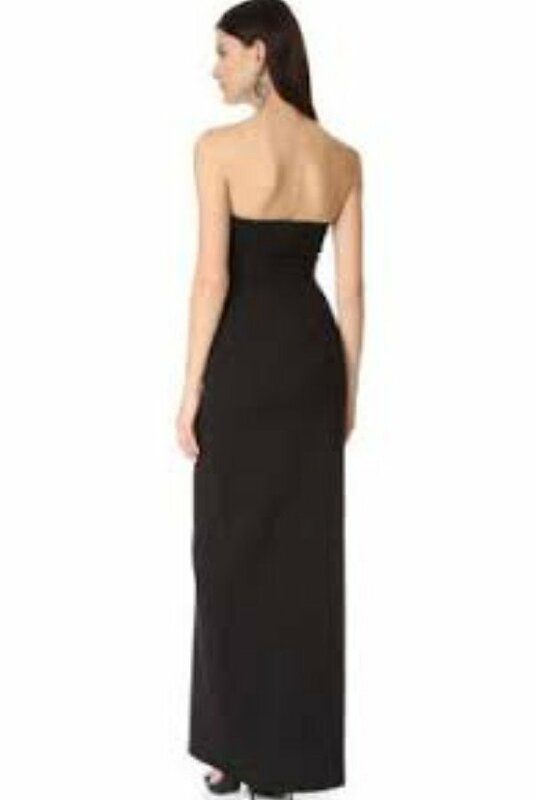 Strapless high-low style gown in a classic black. Very unique side opening. Sizing runs small, recommend one size up to your regular size. Boned bodice for a flattering fit overall. 100% Polyester. 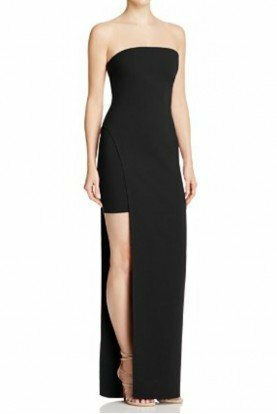 Great for a redcarpet or night out!